So begins the biography of Nora Heysen, Australia’s first official female war artist and the first of the country’s biggest art prize, the Archibald Prize for portraiture. The biography was launched this week by Perth writer and journalist Anne-Louise Willoughby. And on Thursday, on the eve of International Women’s Day, Willoughby attended the launch of a Melbourne exhibition seeking to restore Heysen to what the author describes as her “rightful place” of prominence in the Australian art world. Heysen worked alongside her father Hans Heysen, known for his distinctive paintings of the eucalypts surrounding their family home in Hahndorf, South Australia. But she also worked all over the world and made a lifelong friend in urban landscape painter Jeffrey Smart, who regarded her so highly he made himself available to contribute to this biography before his death. But Heysen spent her life struggling to be recognised as an artist first, and a woman second. “What was so extraordinary is that while her work and its historical context is covered in art collections, we didn’t know anything about her life,” said Willoughby, a writer with a background in art history. “These things kept cropping up in my study, that nothing was known about her save a list of her works. Read the rest of this story here on WAtoday. As a young man, Harvey Beam got the hell out of his hometown, confirming his suspicions that you can successfully run away from your problems. But after forging a big-city career in talkback radio, Harvey is now experiencing a ‘positional hiatus’. The words aren’t coming out right, Harvey’s mojo is fading and a celebrity host is eyeing his timeslot. Back in Shorton, Harvey’s father Lionel appears at long last to be dying. It seems it’s finally time for Harvey Beam to head home and face a different kind of music. Perth journalist Carrie Cox is the author of Coal, Crisis, Challenge and You Take the High Road and I’ll Take the Bus. This is her debut novel but it reads as though she has been writing fiction for years. The premise sounds rich with the promise of drama and the narrative didn’t disappoint, unfolding in a way that kept me guessing right up until a neat tail-twist I never saw coming. Cox has a gift for evoking places and people with deft, apt descriptions that are never laboured or overdone. Her characters are filled-out, humanly flawed and likeable. She gracefully manages the balancing act of focusing on and building the internal life of Harvey Beam, while spinning you through the story. She invites you to understand the joy and madness, the peculiar intimacy and alchemy of the talkback radio world. She has unerring insight into people and families, but still respects the mysteries at their centres. Her creation of an eye-rolling teenager in Harvey’s daughter Cate is spot-on. It’s no caricature, however, but a sympathetic and sweet portrait of a girl who becomes an unexpected sidekick for Harvey in his family drama. The topics are deep but Cox’s touch is light; all the while she is unfailingly, confidently funny. She has nailed it and I can’t wait for the next book. 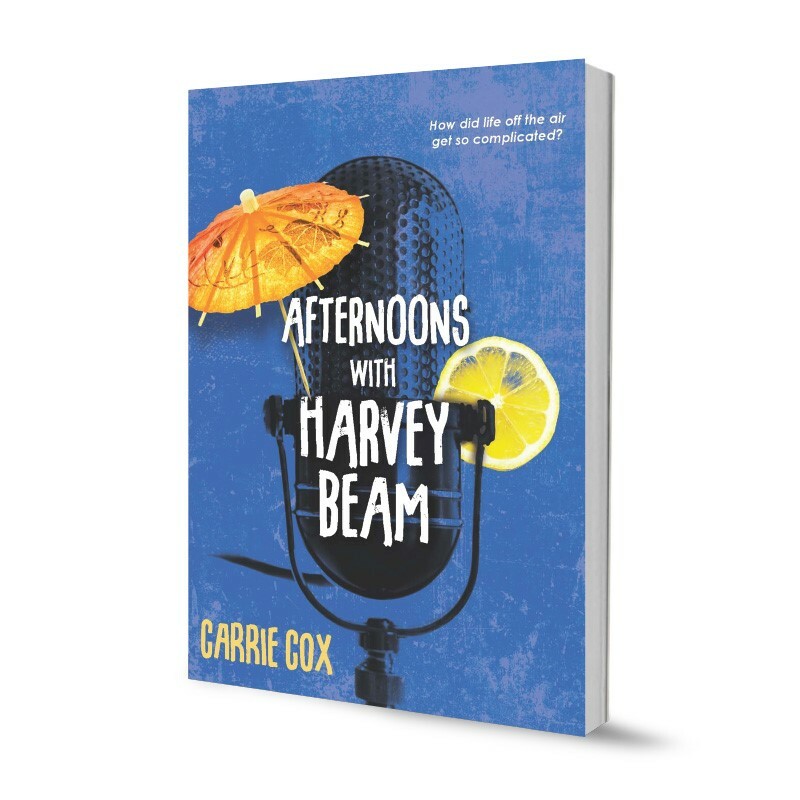 *Afternoons with Harvey Beam is at bookshops now. I got mine from Boffins.